Anand Chowdhary is the co-founder and chief executive officer of Oswald Labs. He has previously worked at the Government of Delhi and was a design and technology consultant to 10+ startups and organizations. He has also worked on projects alongside the United Nations Development Programme (UNDP), the National Skill Development Corporation (NSDC), and the Telecom Sector Skill Council (TSSC) as the Technology Lead at Unifiers, and was the Technology Lead at Justice Adda, a Cambridge Social Ventures startup in the Centre for Social Innovation, Judge Business School, University of Cambridge. He graduated from The Mother’s International School, New Delhi, and moved to Ahmedabad to study Visual Communication Design. 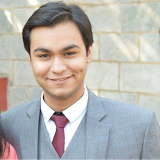 In July 2016, after winning Code4Impact at AngelHack Delhi, Chowdhary dropped out of design school to start Oswald Labs, and is currently a Creative Technology student at the University of Twente, Enschede. He also founded Made with Love in India, an initiative to promote Indian-made brands and products; is a software engineering consultant to El Niño, a digital development studio in the Netherlands; and serves as ad advisory board member to Oefenen.nl, a Dutch non-profit. In 2018, he was named as one of the 50 most innovative entrepreneurs and professionals in the Netherlands by Het Financieele Dagblad (Dutch Financial Times), and listed in Forbes 30 Under 30 Asia.